Following some decades of research, development and trials a special kind of permanent way construction now is widely in use in several railway systems world-wide: the Slab track, sometimes also named “Ballastless track”. 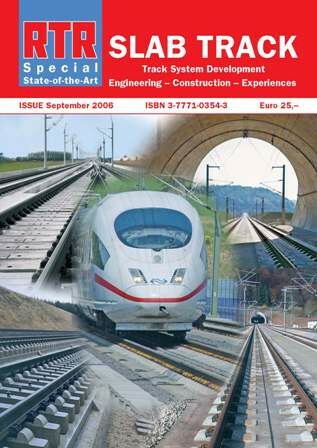 This Publication mostly refers to the actual status of the development and application of the slab track constructions which were developed in Germany as well as the Netherlands, Japan, China and Taiwan. The initial idea behind this development was the application in high-speed tracks.